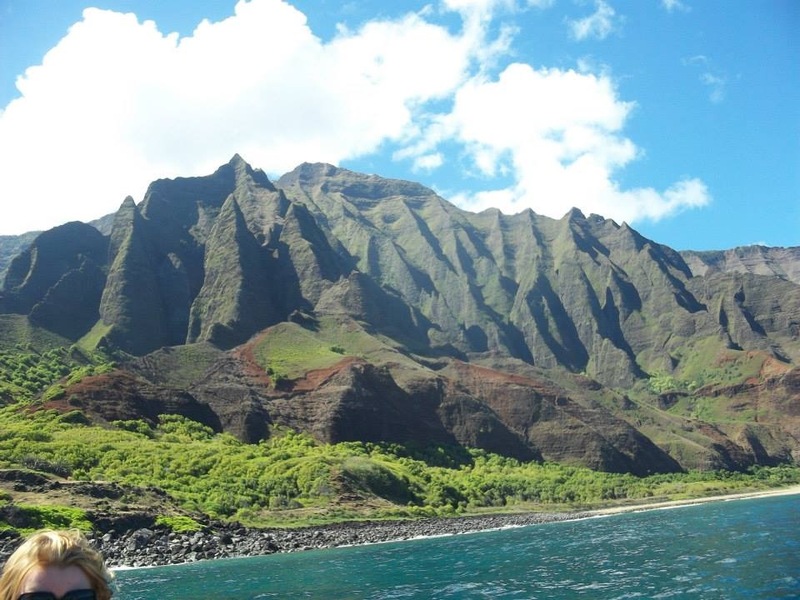 This picture was taken of the North Shore of Kauai from Captain Andy’s tour boat. The weather was very cooperative, so we traveled farther up the coast than typical. Saw the sights and even had an introduction to snorkeling. While in Lihue we met Bruce Baumgartner, pastor of Calvary Chapel there. We enjoyed his story, how God led him to ministry and Kauai. We also were fascinated with his telling of knowing Bethany Hamilton and the making of the movie of her story Soul Surfer. It is the inspirational telling of Bethany being attacked by a shark and losing her arm while surfing. Her faith sustained her and amazingly she is back to being a professional surfer. She also now travels the country to tell her story. She believes that God allowed this to further His kingdom. Be sure and watch the documentary if you watch the movie. I also spent an hour introducing him to Spiritual Battle Plan and hope to work with him to bring it there. I apologize for taking so long to blog. I just could not seem to get back into writing after our trip to Hawaii. Yes, we went to Hawaii! Linda learned that we could use our home leave there for a real vacation this year. It is cheaper for the Army to send us there from Korea than to the rest of the country. And for some reason she would rather do that than go to Dallas. Ha! We had a wonderful time. We especially enjoyed the island of Kauai. For those of you planning a trip to Hawaii, I highly recommend you get off of Oahu and see this island. The botanical gardens there are amazing! 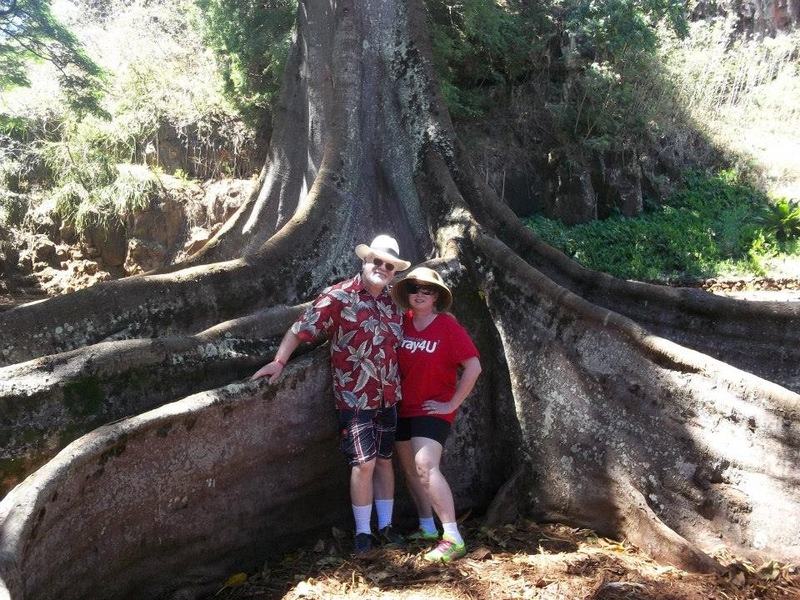 We saw scenery and sat on a giant Banyan tree that was featured in Jurassic Park. Beautiful flowers are everywhere on the island but the plant life in Allerton Gardens is something else!